There are so many fabulous features this week. I can't wait to see what you bring this week!. 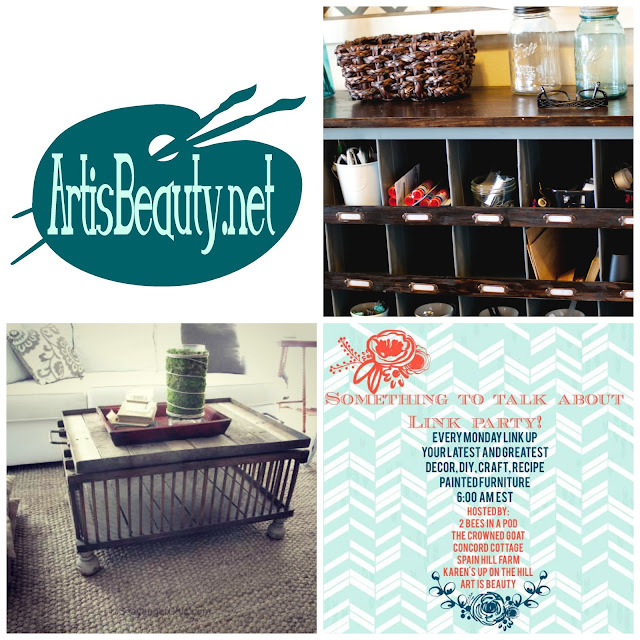 What's been going on at Art is Beauty. and I also am giving away tickets to the Country Living Fair. 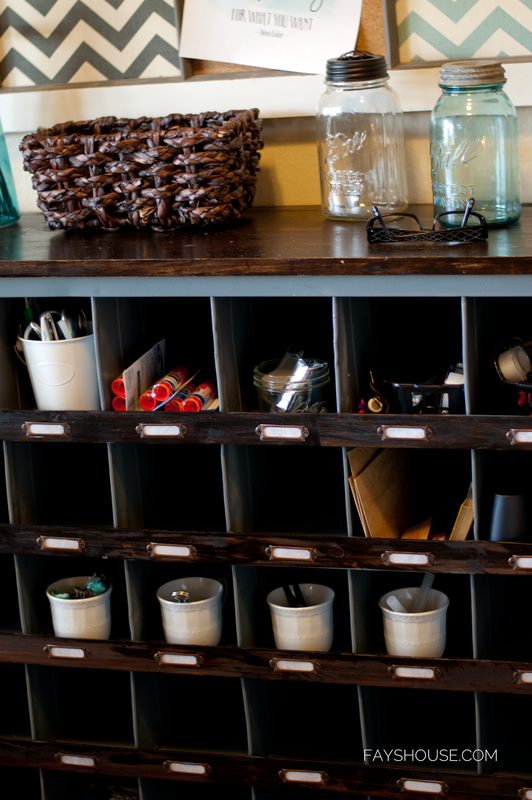 You know how I am a LOVER of all things REPURPOSED! 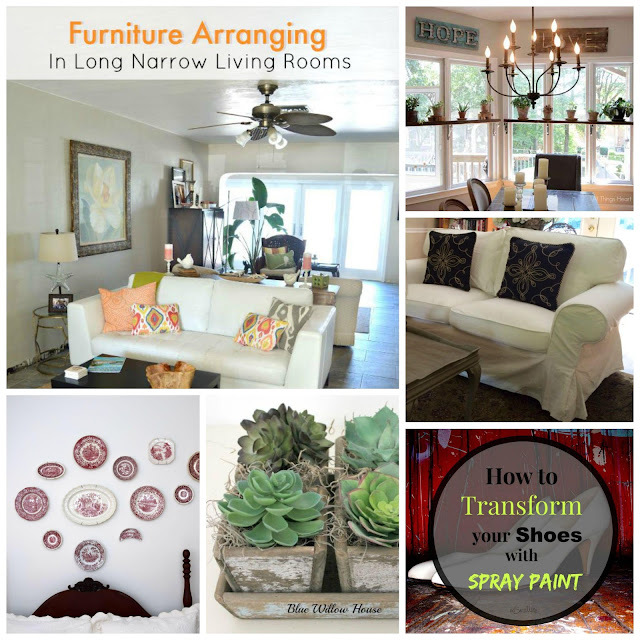 Well my two features are both fabulously REPURPOSED items..
Come see what these wonderful bloggers did! 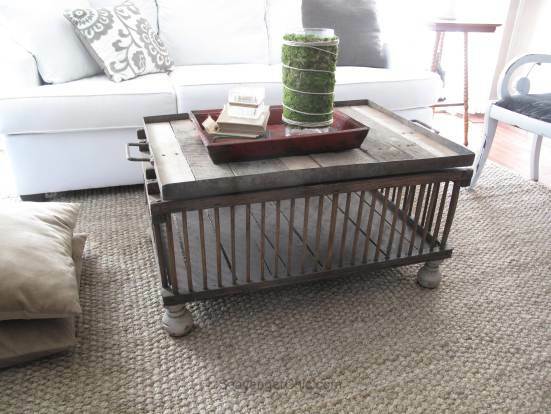 Come see how Scavenger Chic made this coop into a Beautiful coffee table.